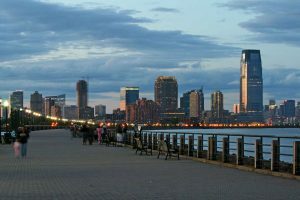 Jersey City has a population of over 260,000 people and 67 constituent neighborhoods, which makes it the second largest New Jersey community. These days, Jersey City is no longer as affordable as it once was, as real estate continues to boom and rents and prices continue to rise. In fact, some argue that we are witnessing a crisis of affordable housing in this city. Even though housing costs in Jersey City are much lower than those in the priciest NJ communities, they are still among the highest in the country. The average home price is $638,100, while home appreciation has been 50.15% for ten years. 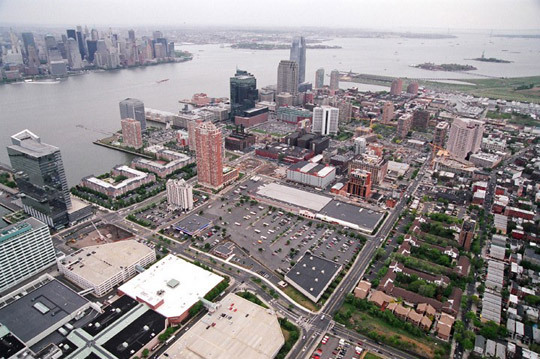 Nevertheless, Jersey City is still a very popular place to move to. If finding more affordable homes for sale in Jersey City is what you want, take a look at our suggestions. They are among the most walkable neighborhoods in the country. 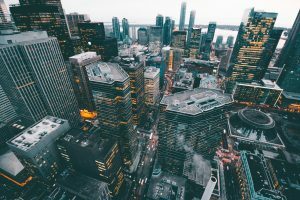 This densely populated urban neighborhood has some of the most affordable houses for sale in Jersey City, so make sure to include it in your search. Jersey City is one of the more historic cities in the region with over 37% of homes built before World War II, and this neighborhood is no exception. You can find a lot of small to mid-sized apartment buildings and apartment complexes or high rise buildings. The real estate vacancy rate is over 12% which is higher than the US average. Rental prices are lower then the average for NJ and most homes are rentals. The majority of residents of this neighborhood have African or Latin American ancestry. Below average income (lower-middle) and above average safety are also among its main characteristics. Not surprisingly, this is one of the top rated NJ neighborhoods for college student relocations. In this neighborhood, many residents choose walking or taking the bus to work over driving. Almost 30% of households don’t even have a car, which is very high for the US. Most residential real estate consists of small apartment buildings and high-rise apartments. There is a high percentage of both historic and 21st-century homes. Unlike the previous neighborhood, real estate vacancy in City Center is below average for the US. The demand for real estate in this neighborhood is higher than the US average. Rental prices are below the NJ average and most homes are rentals. This coastal neighborhood is attractive for both locals and tourists. The waterfront offers stunning views and numerous recreational activities. Those who love walking would be delighted to live in Jersey City City Center – one of America’s most walkable neighborhoods. As for the neighbors’ income, this is also a below average income neighborhood. Most residents of this ethnically diverse neighborhood are of Asian ancestry (29%). Although many people drive to work, more of them use public transportation, mainly trains. Many homes in this neighborhood were built over the period between 1940 and 1969. However, what makes the neighborhood stand out is a large number of older homes, some of which are much older. If you like historic buildings, this is the ideal neighborhood for you, with over 70% of real estate built before 1940. Home vacancy rates are near the average for American neighborhoods. Rents are below NJ average and the majority of owners rent their homes. One half of the residents were born in a foreign country and Asian ancestry is predominant. This is an above average (upper-middle) income neighborhood. When it comes to commuting, this is also one of those neighborhoods with unusually high numbers of carless households. Although the most popular means of transport is still the car, the bus is almost as popular, and the train is not far behind. This neighborhood is a good option for first-time home buyers looking for homes for sale in Jersey City. Most of the housing consists of small to mid-sized townhouses and small apartment buildings. Many residences in this neighborhood were built during the last three decades of the 20th century. However, there are a lot of old homes dating back to early 20th century. What separates this neighborhood from the rest is the abundance of row houses and attached homes. If you’re interested in row houses for sale in Jersey City, look no further. Unlike the previous neighborhoods, both owners and renters occupy homes in this neighborhood. The average rent is higher than the NJ average. The demand for real estate is above while vacancy rate is below the American average. Route 440 / Kellogg St neighborhood is a wealthy one. In fact, it’s one of the 15% highest income neighborhoods in the country. Similar to many other neighborhoods, Asian is the most common ethnicity here. This beautiful coastal neighborhood is also a good choice for college students, thanks to its walkability and safety, among other things. Almost one half of the residents go to work by car, however, many opt for public transportation, usually trains but also busses. Moving to New Jersey and buying a home is a complex endeavor that requires a lot of thorough research and careful planning. Finding affordable homes for sale in Jersey City and buying one is just the beginning – you have an entire home to move. The next step is finding the right local movers in Jersey City to help you with your move. Bear in mind that not every moving company specializes in long distance moving, so if you’re moving from afar, make sure to hire one of the long distance movers NJ has to offer. Only after the house move is successfully completed can you start enjoying your new Jersey City home.